Australian rules football forward known for being a member of the Gold Coast Suns inaugural AFL team in 2011. 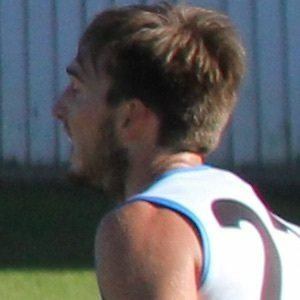 He was traded to Port Adelaide in 2016. He grew up playing basketball before taking up Australian football in 2003. He joined Gold Coast in 2009. He played in the Suns' first-ever AFL game, in which he scored the team's first-ever goal. He and Gary Ablett, Jr. were teammates on Gold Coast.